The Opposition aims to capture space on television by abusing Modi, but the elections are fought on developmental agenda and one's vision for the nation, he said. Hitting out at the Congress which has intensified its attack on the government on alleged corruption in Rafale deal with France, PM Modi said those who ruled the nation for years did not work for the advancement of the defence sector. 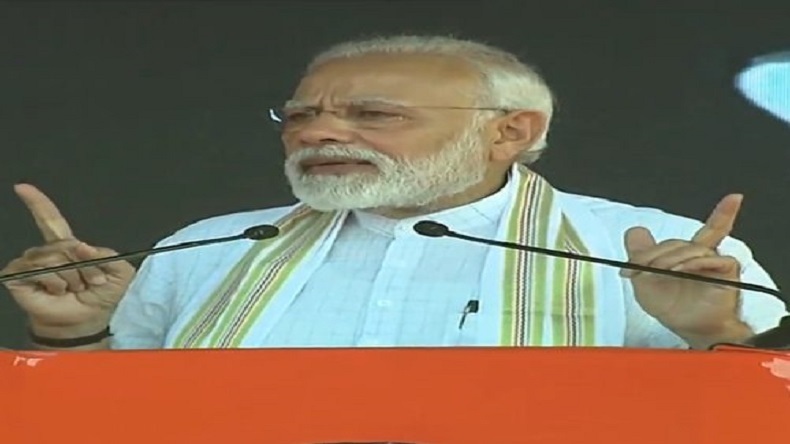 Prime Minister Narendra Modi has intensified Lok Sabha 2019 polls campaign for his party and addressing rally across the country on a regular basis. PM Modi, who was in Tamil Nadu’s Tiruppur on Sunday, said the BJP government at the Centre has zero tolerance against corruption. The prime minister said the so-called grand alliance (mahagathbandhan) lacks vision and has no agenda for the country. The Congress party misled farmers and youth of the country for years, he said. Hitting out at the Congress which has intensified its attack on the government on alleged corruption in Rafale deal with France, PM Modi said those who ruled the nation for years did not work for the advancement of the defence sector. Recently, PM Modi had made the same charge against the Congress while speaking in Lok Sabha. For Congress, the defence deals were just a medium for supporting their friends, he added. Talking about his vision for the region, PM Modi said after the completion of integrated building at Trichy airport which was inaugurated a few moments ago, around 3,000 passengers will be facilitated at this airport in the peak hours. Hailing Ayushman Bharat scheme, the prime minister said the world’s largest and most affordable programme has been implemented in India. The BJP government was aiming to provide house to all by 2022 and 1.3 crore houses have already been built in the last four years to achieve this objective, he said. The Opposition aims to capture space on television by abusing Modi, but the elections are fought on developmental agenda and one’s vision for the nation, he said.